We were thrilled to be able to hold our first ever Art Exhibition last week. 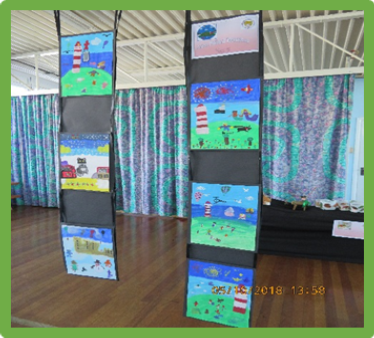 We had a fantastic range of Art work from each year group on display including digital artwork, candle holders, painting, leaf sculptures and 3D models. Also, we were able to offer ‘hands on’ art experiences from printing with Mrs Snell, our school governor to bug, glass etching with Mrs Ayrton our local glass artist. Mr Lewis exhibited some of his artwork alongside our showcase of ‘Woodford through the Seasons’ which was painted by 30 of our KS2 artists on four canvases, these are going to be displayed in the Year 5 shared area. 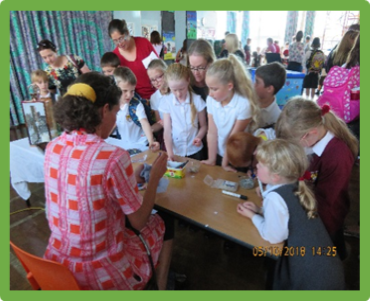 Thank you too, to Ceramic Doodles who ran a design and make workshop, the Woodford PTFA for serving refreshments and the choir who performed beautifully. 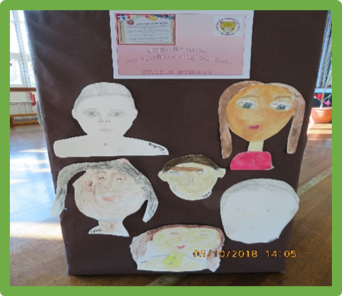 We have such talented artists at Woodford and the exhibition was a real celebration of all the children’s creativity and enthusiasm for the Arts. Well done everybody!